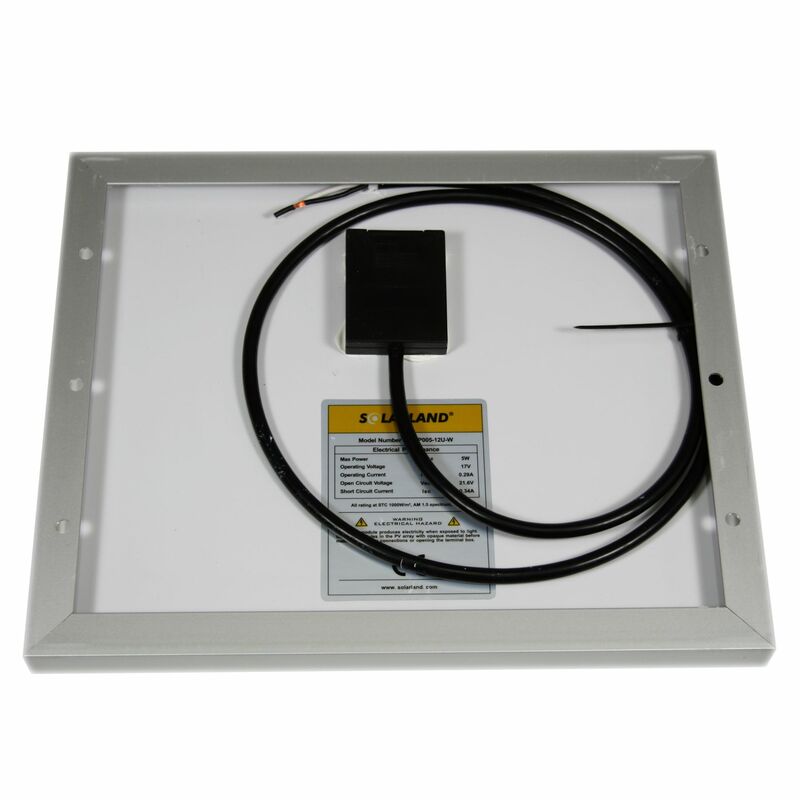 This is an industrial grade, tempered glass charger that ships with 3 foot power cord with bare wire ends. 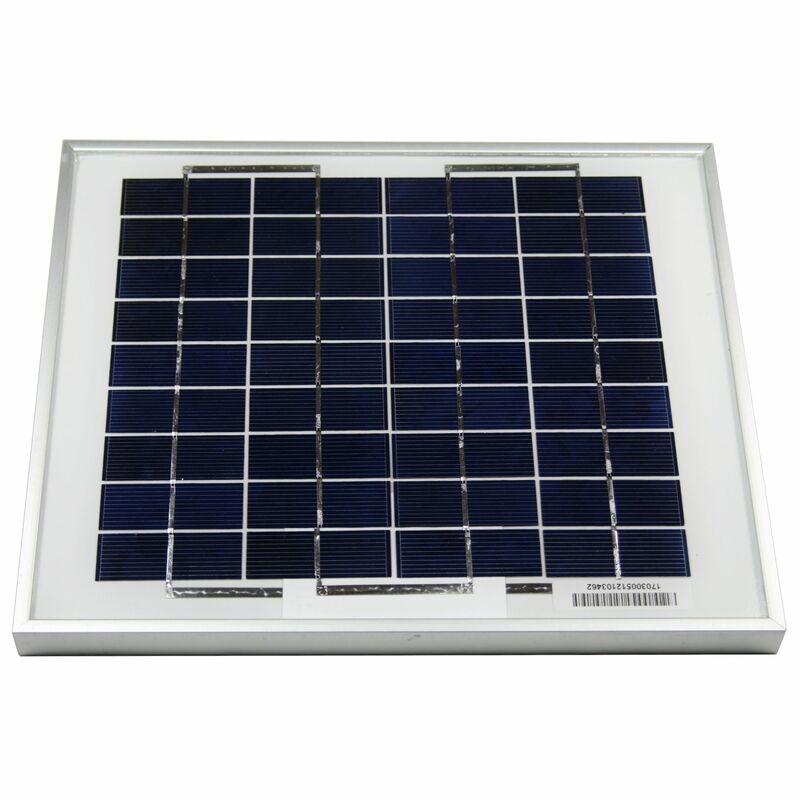 This module uses high quality Mono-crystalline solar cells. They make excellent battery trickle chargers and small power supplies. Some of the uses for a 5 watt solar module are charging 12 volt batteries for telemetry, fence chargers, automatic feeders, electric gates or for battery maintenance. This unit comes with 3 feet of cord, a sealed junction box, and a 10 year output warranty. A solar controller is recommended to improve charging efficiency and protect batteries. Shipping surcharge will be applied for Air Delivery if physical size of package increases Air Delivery price. Nominal 12 V DC for standard output. Heavy-duty anodized frames provides for easy mounting. High transparent, low-iron, tempered glass. Rugged design to withstand high wind pressure, hail, and snow load. SCC15 This controller will prevent your battery from getting overcharged, as well as remove and prevent harmful sulfation via the BatteryMinder Patented High Frequency Pulse. 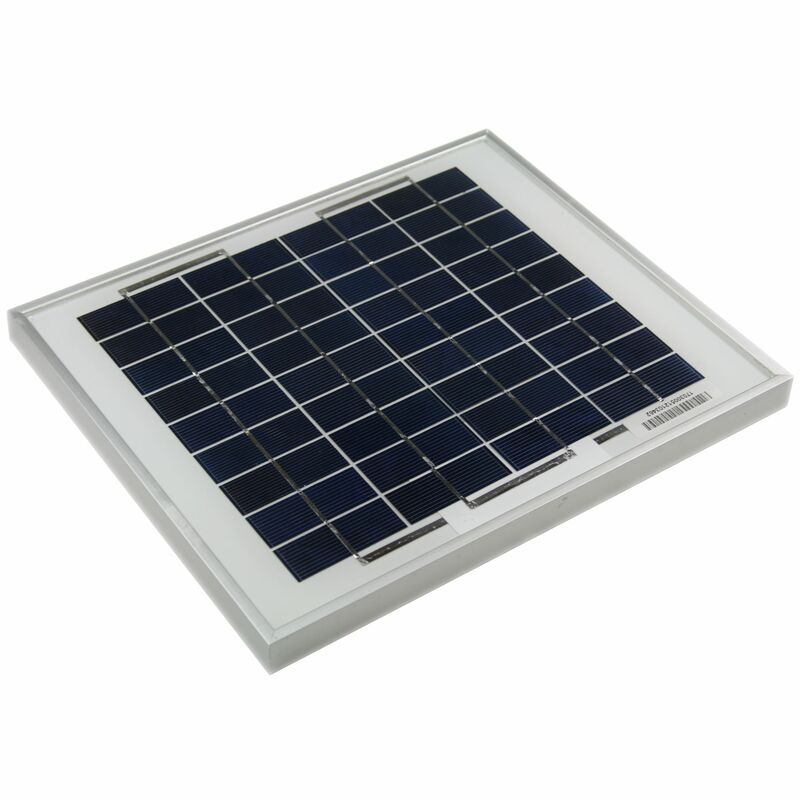 SG-4 The SunGuard is a one module solar controller for professional and leisure markets. The waterproof unit is easy to install, and will keep your batteries from ever being overcharged by a solar panel. Do you own the SLP005-12U-W? Please, tell us what you think about it. It helps us provide you with better products. Please note that it may take up to 72 hours for your review to appear.